Bhoj Open University (Madhya Pradesh Bhoj University) is a non-profit public university located in Bhopal, Madhya Pradesh, India. The university is a part of National initiative to promote cheap and quality higher education. The University was established in the year 1991 under an Act of State Assembly. The University received the Post-facto recognition of Distance Education Council for programmes offered through distance modes. All the distance programmes offered by the University are recognized by DEC. 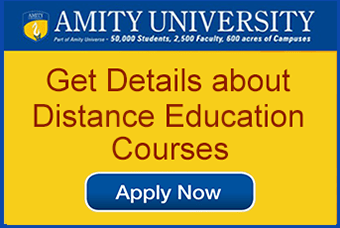 The University is also recognized by NCTE for conducting Distance Education courses. 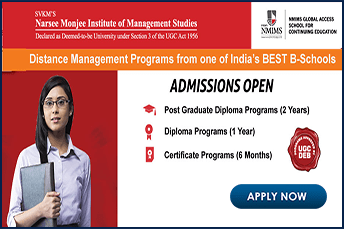 Why Bhoj Open University Distance MBA ? Contact Programmes:- The University will conduct two face to face contact programmes after 12 days of duration at regional centres of the university and also at recognized study centres. An attendance of 75 percent is compulsory for each student in each subject. Date and time of the contact programmes will be informed to the students through university website/notice board/ Telephone contacts. Audio and video lectures: The University provides high-quality audio-video lectures by experts for the students which is transmitted through satellites with collaboration with DRDO, ISRO, etc. The lectures are very much similar to virtual classrooms which enhances the chance of better learning. The Candidate can obtain the admission form and information brochure from any M. P. Online Kiosk on payment of prescribed registered fees. The admission form can also be obtained from the university on payment through DD/ Bank Challan. Cost of registration for admission in MBA in Rs. 300/-. Note: Fees once paid is non-refundable. After the prescribed Fee has been deposited the student will be given a receipt from Kiosk which has to be attached with the form. The filled admission form along with attested copies of the Marks Sheet of 10+2, graduation and post-graduation examination is to be submitted at the study Centre/regional Centre. Candidates belonging to SC/ST category should submit attested copies of Domicile, Caste certificate and Income Certificate in original of the Current year issued by the competent authorities. Candidates are required to bring original required documents for verification at the time of admission. If the candidate meets all the eligibility of the Programme he opted for and the documents are verified the admission is provisionally confirmed. The applying for admission to distance MBA Programmes offered by BOU must have passed their graduation from any recognized University. Any candidate who doesn’t comply with this eligibility their application will be rejected. 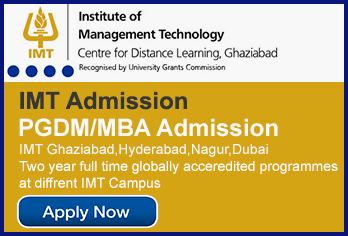 Graduation in Accounting or Management is mandatory for admission in MBA with a specification in Material Management. The University has established its placement cell to guide students about various opportunities for jobs in industries and to build capability for self-employment potentials.